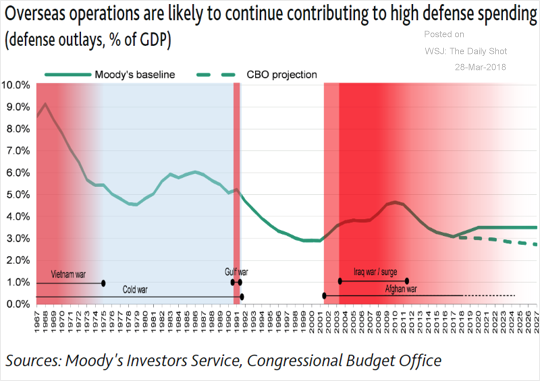 The United States: Moody’s forecasts US defense spending to be significantly higher than the CBO’s. This is bad news for the federal deficit over the next few years. Equity Markets: US stock-market implied volatility remains elevated relative to other markets. 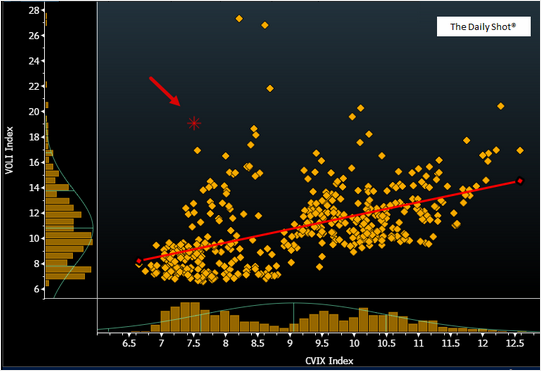 This scatter-plot shows the Nations VolDex index (VIX-equivalent for SPY) vs. CVIX (the VIX-equivalent for currencies) over the last couple of years. 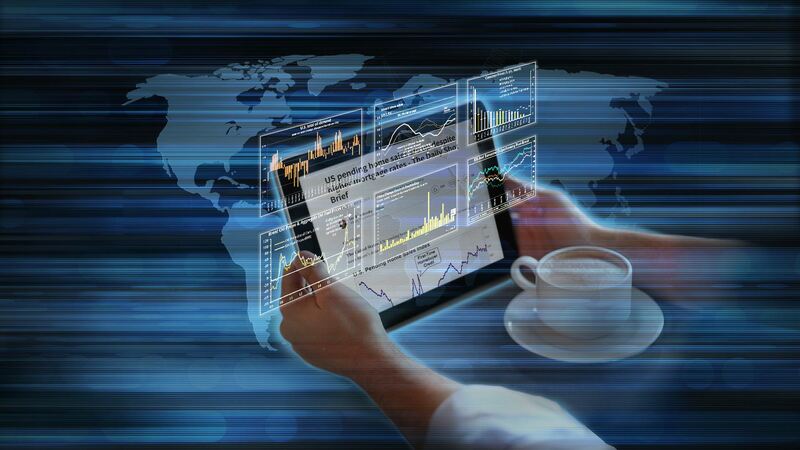 Rates: Last week investors exited US stock funds. But they also continued to get out of long-term Treasuries. 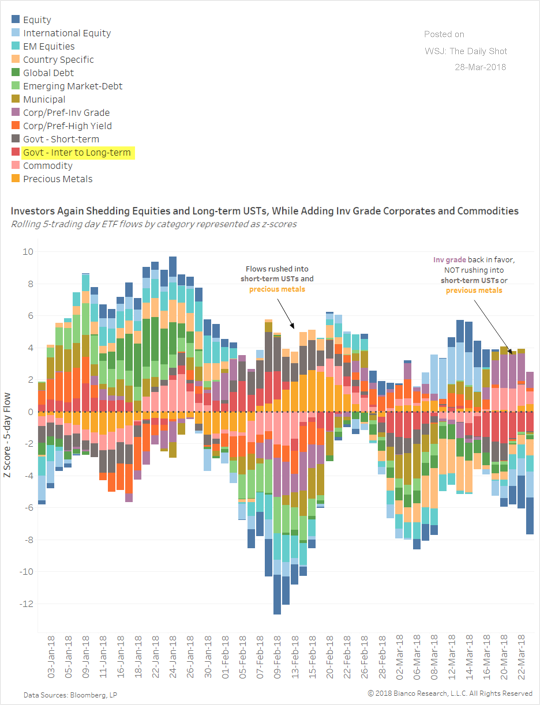 Given Tuesday’s bond rally, will this week be different? 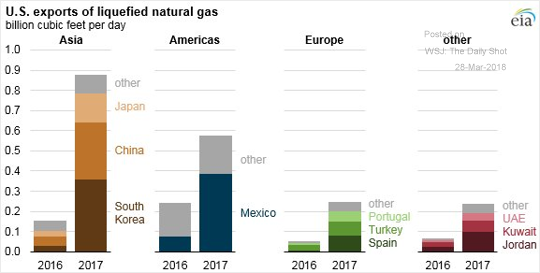 Energy Markets: This chart shows the composition of US LNG exports. 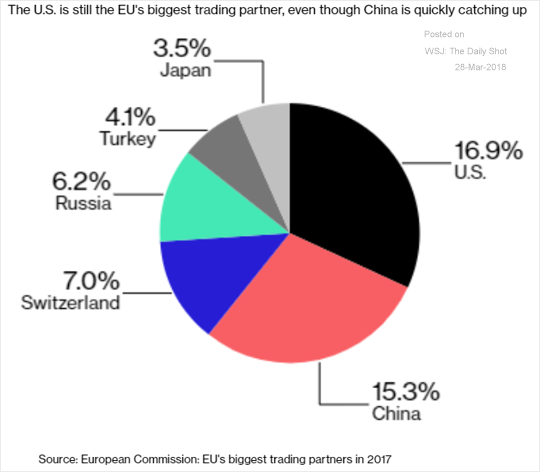 The Eurozone: Here, we have the EU’s largest trading partners. 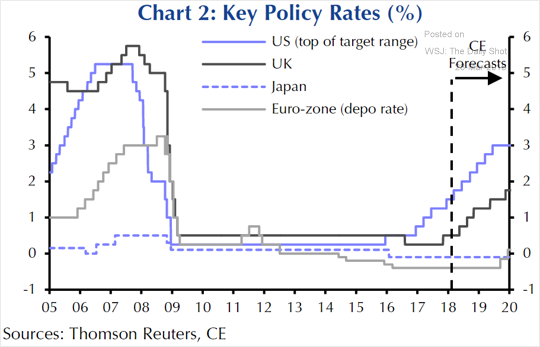 Global Developments: Here is a forecast for the key central bank rates over the next couple of years. 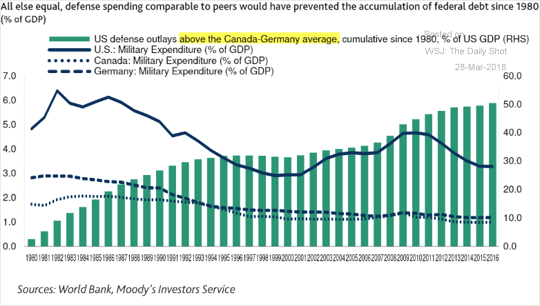 Food for Thought:The US spends way more than peers on defense (with borrowed money).